What a "SUPER" lady. You made our stay here really enjoyable. Many, many thanks. And we "WILL" be coming back if you will have us. A Million $ view -- WOW! Lynda you are very professional and kind. 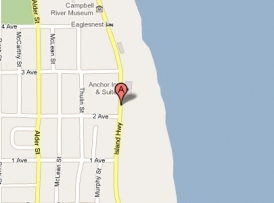 We have the best ocean view in Campbell River! Cliff House is a Campbell River Vacation Rental.